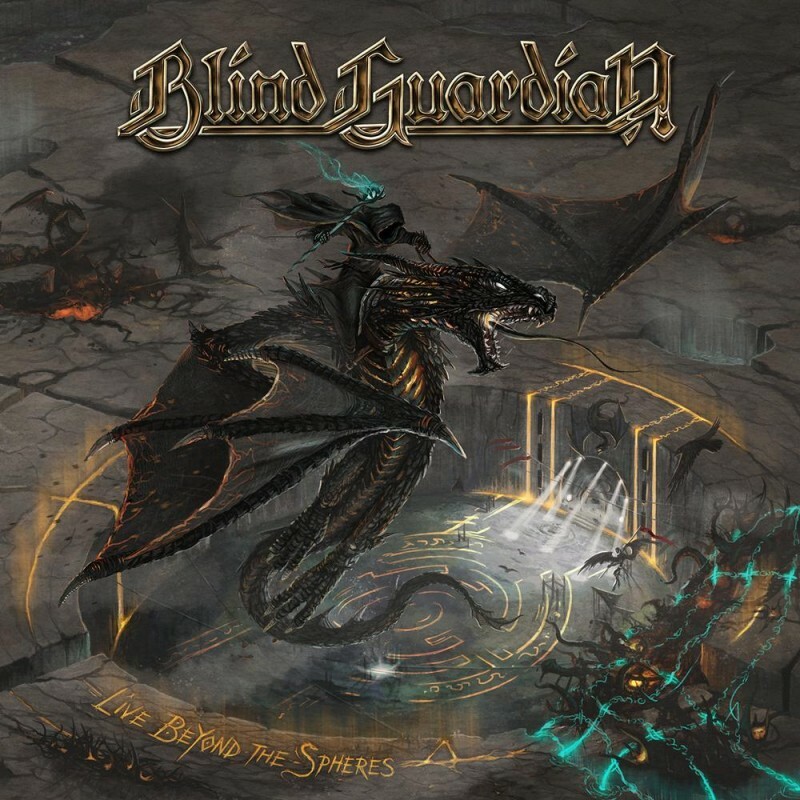 Blind Guardian don't do things by halves. Recorded on their hugely successful 2015 European tour, this triple live album boasts twenty-two songs recorded at various venues, with the band choosing the most energetic and most alive sounding recordings for inclusion on the album. If you're unfamiliar with BG, then this might not be the best album with which to start your discovery of the band and its music. This release is more suited for fans of old, I feel, because it covers songs old and new and if you're not au fait with them, then this won't be an easy listening experience for you. That's because even though BG get lumped in with all the other bands that play Power Metal, this isn't strictly a true description of them and their music. That is indeed how they started out, but with each passing album they've grown and developed into a bombastic, over-the-top, grandiose Operatic Metal outfit, whose songs encompass all gamut's of Metal, from the heaviest to the lightest, and visiting all stations in between. To be honest with you, being a triple album clocking in at almost three hours in length, I didn't absorb this in just one listening session. That would take a lot of doing, and maybe that's why each disc is almost an hour long, so that you can take each one as a different show and enjoy its individual merits. The first disc features favourite BG tracks such as 'The Ninth Wave', 'Nightfall', 'Tanelorn', 'The Last Candle' and 'And Then There Was Silence'. The band are hot from the very start, firing out molten riff after molten riff they take command of proceedings with the crowd in the palm of their hands from the very first note played. That, for me, is where the magic of this release truly lies, in the audience who came to see the band play. They sing every word loudly along with BG, and in some instances the band just stop singing and let the fans do all the work for them. Following this wonderful start, disc two contains more BG classics in the guise of 'The Lord Of The Rings', 'Bright Eyes', 'Into The Storm', 'Twilight Of The Gods' and 'A Past And Future Secret', whilst the third disc has 'Sacred Worlds', the Folky 'The Bard's Song (In The Forest)', 'Valhalla', 'Wheel Of Time' and 'Mirror Mirror' to enjoy; again, on each disc, it's the crowd that are the real stars of the show. An ambitious release from Blind Guardian that takes time to actually listen to, but long-time fans of the band will, most likely, fall in love with what they on this release. Out of all the live albums I've reviewed for this issue*, this is the one that definitely should have had a DVD to accompany it.